Hi Profile Tech and Media Professionals who are in Recovery or may need to be in Recovery needing to make a strategic Life Change. Hi Holly, I would like to speak with you briefly to see if you're a good fit to coach me. Please contact me at your earliest convenience. They say its lonely at the top. However, there is a spiritual component to every business transaction and relationship that is forged. I emphasis Universally accepted principles. Senior Consultant. Advisory practice includes Executives, Intergenerational families and Corporate Officers. She has been recognized by Humana Healthcare earning the Outstanding Care Management Achievment of Excellence Award (2016). She serves the National Council of Real Estate Specialists to further the integrity of Housing and Urban Development. Dedicated to serving the unique and sophisticated needs of high profile Tech and Media professionals along with Pro Athletes taking a comprehensive approach to Foundations and Endowments. With roots in the East Bay Area and over 25 years of combined Consulting Management experience throughout the Central Coast. 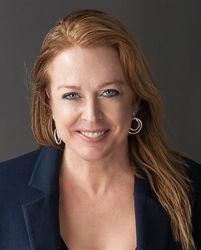 Her foundation in business was forged as Mortgage Banker for First Alliance Mortgage, and later as Intermediary for Chemical Bank's Merger & Acquisition arm, The Geneva Companies later a Citibank M&A boutique, which lead to the Wells Fargo Bank Corporate office in San Francisco, to oversee Loan Integration and Business Development for the Southern California-Orange County Region. Major undergraduate studies at Cal Polytechnic State University, San Luis Obispo concentrated in Applied Psychology and Managed Information Systems. Previous and concurrent activities include serving the San Luis Obispo Ethics and Procedures Committee for Housing and numerous non-profit organizations for, over 25 years including Habitat for Humanity, Senior's Rights Advocacy, Veteran's Administration, Crisis Stabilization- Detox & Recovery Programs, and Advocacy for ending the Homeless Crisis for Working Poor. Have you worked with Holly? Tell your friends! Holly hasn't submitted any articles.